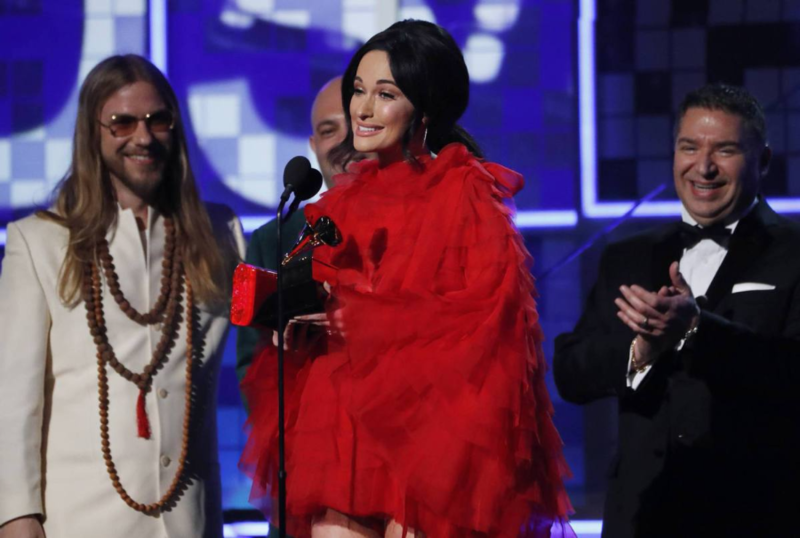 LOS ANGELES, Feb 10 - Country artist Kacey Musgraves won album of the year for "Golden Hour", while "This is America" by Childish Gambino won both record and song of the year at the 61st Grammy Awards on Sunday in a breakthrough for rap at the most prestigious honors in the music business. Gambino's searing "This is America," about police brutality and racism, became the first hip-hop track to win record and song of the year Grammys, while Drake made a surprise appearance to accept the Grammy for best rap song for "God's Plan" and Lady Gaga won three trophies. "This is America" also took Grammys for best music video and best rap performance.